Oxalate is a naturally occurring molecule found in abundance in plants and humans. It’s not a required nutrient for people, and too much can lead to kidney stones. In plants, oxalate helps to get rid of extra calcium by binding with it. That is why so many high-oxalate foods are from plants. In humans, it may work as a “prebiotic,” feeding good bacteria in the gut. How does the body process it? When we eat foods with oxalate, it travels through the digestive tract and passes out in the stool or urine. As it passes through the intestines, oxalate can bind with calcium and be excreted in the stool. However, when too much oxalate continues through to the kidneys, it can lead to kidney stones. Calcium oxalate kidney stones are the most common type of kidney stone in the North America. The higher your levels of oxalate, the greater your risk of developing these kinds of kidney stones. What is a low-oxalate diet? If you are at high risk for kidney stones, lowering the amount of oxalate that you eat may help reduce this risk. However, new research indicates that boosting your intake of calcium-rich foods when you eat foods that are high in oxalate may be a better approach than simply eliminating it from the diet. As they digest, oxalate and calcium are more likely to bind together before they get to the kidneys, making it less likely that kidney stones will form. Foods that are high in vitamin C can increase the body’s oxalate levels. Vitamin C converts to oxalate, and levels over 1,000 milligrams (mg) per day have been shown to increase oxalate levels. Taking antibiotics, or having a history of digestive disease, can also increase the body’s oxalate levels. The good bacteria in the gut help get rid of oxalate, and when the levels of these bacteria are low, higher amounts of oxalate can be absorbed in the body. Drinking enough fluid each day can help clear kidney stones or even keep them from forming. Spreading liquids throughout the day is ideal. Choosing water over other drinks is preferable. Getting enough calcium is also helpful. Getting too little calcium can increase the amount of oxalate that gets to the kidneys, which will increase the risk of kidney stones. Lowering your salt intake can also lower your risk of kidney stones. High-salt diets tend to cause more calcium to be lost in the urine. The more calcium and oxalate in the kidneys, the greater the risk of kidney stones. To lower your risk of kidney stones, add a high-calcium food to a meal that contains a food with higher levels of oxalate. For example, if you add wheat germ to your oatmeal, be sure to add some milk as well. If you are cooking spinach, don’t feel guilty about combining it with pizza or lasagna. If you have a craving for a berry smoothie, add some regular or Greek yogurt to help provide balance. Categories: diet | Tags: arthritis, asthma, autism, autoimmune, calcium, depression, diet, dyslexia, Fibromyalgia, kidney, leaky gut, oxalates | Permalink. Long before the Ch-ch-ch-chia pet of the 1980’s, the Aztecs and the Mayans used chia seeds as a staple of their everyday diets, alongside corn and beans. “Chia” is the Mayan word for strength, and these ancient peoples understood the important health benefits of these seeds. The Mayans would grind chia seeds into flour, press them for oil, and drink them mixed with water. Ancient people considered these seeds magical due to their ability to increase stamina and energy for long periods of time. However, once the Spanish conquered Latin America, they introduced their own foods and prohibited the farming of chia. However, chia seeds have recently made a comeback in modern diets as researchers have discovered the hidden benefits from this ancient super seed. Here are just seven of the various reasons you should add this superfood to your diet today. 1. Pack in your fiber. The American Dietetic Association recommends 20 to 35 grams of fiber per day, yet most people only consume about half of that. Chia seeds deliver almost 50% of your necessary daily intake, with 11 grams of fiber per ounce. Fiber is necessary for ultimate health, but especially for digestion and weight loss. Chia seeds absorb up to 12 times their weight and expand in your stomach, making you feel full and curbing your appetite. Chia seeds help reduce your caloric intake by filling you up and helping lower the energy density of certain foods — ultimately, assisting greatly in weight loss. Chia seeds are a concentrated sources of omega-3 fatty acids, and they actually have more omega-3s than salmon. Omega-3s are critical for brain health, and chia contains five grams per one ounce serving. 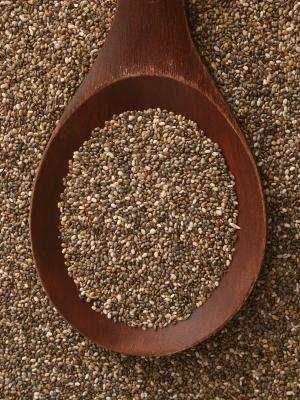 One ounce of chia seeds has 18 percent of the recommended daily intake of calcium. Chia seeds can help promote better bone and oral health. Studies have shown that chia seeds can improve blood pressure and increase healthy cholesterol while lowering bad cholesterol. Chia seeds can help you maintain a healthy heart — a crucial element of your health. Your body uses phosphorus to synthesize protein and repair cells and tissues. Chia seeds contain 27 percent of your daily value of phosphorus, and can help your body heal and repair itself faster! Tryptophan, the amino acid that’s popularly known for making you sleepy, is also found in chia seeds. Not only will it make you want to take a nap, but it also helps regulate appetite, sleep and improve mood. There are plenty of ways that chia seeds can benefit your overall health, and it’s no wonder that the ancient Aztecs and Mayans regularly consumed them. Adding chia to your diet can be a great way to help with weight loss and get your daily vitamins and nutrients! Categories: hemp | Tags: calcium, diet, fiber, hemp | Permalink. Many people are still unaware of these super seeds and their amazing health benefits. They are easy to add to your diet and are a powerhouse of nutrients. Chia (Salvia hispánica) is a small flowering plant belonging to the mint family, and native to parts of South America. Aztecs and Mayan people have relied through the centuries on the seeds produced as a rich and filling source of protein in addition to harnessing their intrinsic health benefits. At one stage these ancient peoples also traded them as currency, and offered to the Gods during religious ceremonies, such was their value to society. Two tablespoons of the seeds contain 138 calories, 9 grams of fat, 10 grams of fiber, 5 grams of protein and is also rich in calcium. 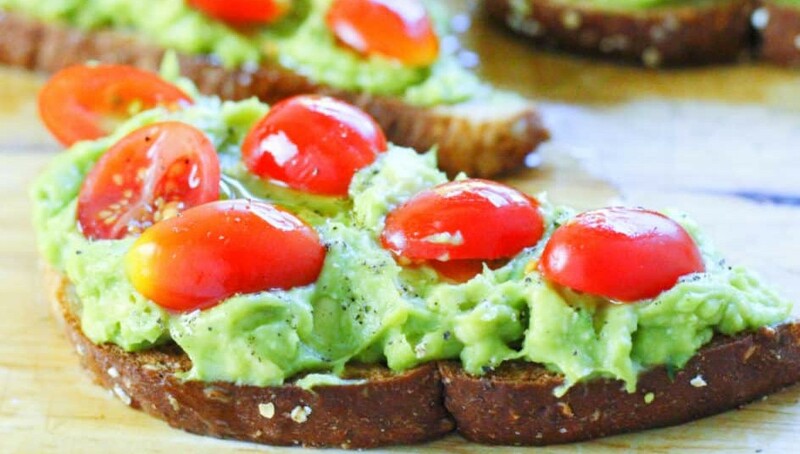 They are a plentiful source of fiber and omega 3 healthy fats. Here are some of the reasons why we should consider adding chia seeds to our diets. Protein is essential in everyone’s diet. It helps form the structural component of body tissues and is vital for many biological processes. The most common protein sources are dairy, meat, eggs, fish, beans and nuts. Chia seeds are a great source of protein especially for vegetarians and vegans. A serving of 28g (approx 2 tablespoons or 1 ounce) contains around 10% of our recommended intake. Calcium is vital to grow and maintain health bones and teeth. It is also important to consume enough calcium to help prevent osteoporosis. 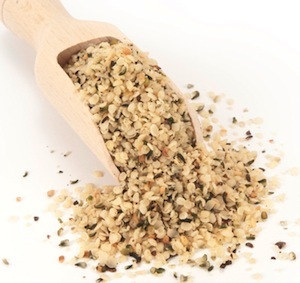 A serving of these seeds will provide 18% of our adult recommended intake. Gram for gram, this is higher than most dairy products. Chia seeds may be considered an excellent source of calcium for people who don’t eat dairy. Adequate fiber helps promote healthier bowel function, controls blood sugar and cholesterol levels as well as keeping you fuller for longer. One serving gives you around a third of the recommended daily intake for adults. Omega-3 fatty acids are polyunsaturated fatty acids that are one of the essential nutrients for health. They are necessary for many normal body functions, including controlling blood clotting and building cell membranes in the brain. Omega-3 fatty acids are also associated with many health benefits, including protection against heart disease and possibly stroke. Many experts say they have potential to reduce the risk of conditions including cancer, inflammatory bowel disease, and other autoimmune diseases such as lupus and rheumatoid arthritis. For optimum health, you should aim to get at least one rich source of omega-3 fatty acids in your diet every day. Chia seeds provide almost 5g in a serving. Chia seeds are a rich source of antioxidants (i). These are vital to combat the harmful free radicals. Free radicals, formed from a natural process called oxidation, can damage body cells and tissues as well as our actual DNA. It has been widely documented that damage caused by oxidation leads to the onset of a wealth of health problems such as cancer, heart disease, cataracts, arthritis and ageing. Owing to the high fiber and protein content, these seeds improve metabolic health and slow digestion. Research has shown that chia seeds can lower triglycerides, raise HDL (the “good” cholesterol) and reduce inflammation, insulin resistance and belly fat (ii), (iii). The gelatinous type coating that these seeds develop when exposed to liquids can also prevent blood sugar spikes. Chia seeds are made up of good fats, which your body needs. A healthy brain consists of two thirds fat. The high levels of omega-3 fatty acids and fiber can help to reduce belly fat. The fiber absorbs large amounts of water and expands in the stomach, which should increase fullness and slow the absorption of food. When the seeds absorb water, they form a sort of gelatin. This gelatin results in a slow release of carbohydrates, meaning a slow conversion into glucose/blood sugar for energy. Chia is free from gluten and free from grain. This means it is a healthy addition to people suffering from celiac disease, or to those following strict gluten or grain free diets. A serving of chia seeds contains 18% of the RDI for calcium, 35% for phosphorus, 24% for magnesium and about 50% for manganese. These vital nutrients can help to prevent hypertension, maintain a healthy weight, keep energy levels up, and boost metabolism. Chia seeds contain tryptophan. This is an amino acid that aids good moods, good sleep patterns and a sense of calm. Tryptophan can invoke a feeling of sleepiness (also in turkey) and can help regulate appetite. You can use these versatile seeds in juices, smoothies, salads, yogurts, cereals, sprinkled over oatmeal or to vegetables or rice dishes. They can also be used in baking as flour or egg substitutes. Categories: diet | Tags: antioxidants, calcium, chia, diet, fiber, nutrition, Omega-3, protein, seeds | Permalink.